The New Bed-Stuy vs. The Old Bed-Stuy: A tug of war exists between the Bedford-Stuyvesant (Bed-Stuy) of the past and what the neighborhood is today. Like many other neighborhoods in New York City, Bed-Stuy has been a site of contestation over the character and collective memory that is attached to a place. 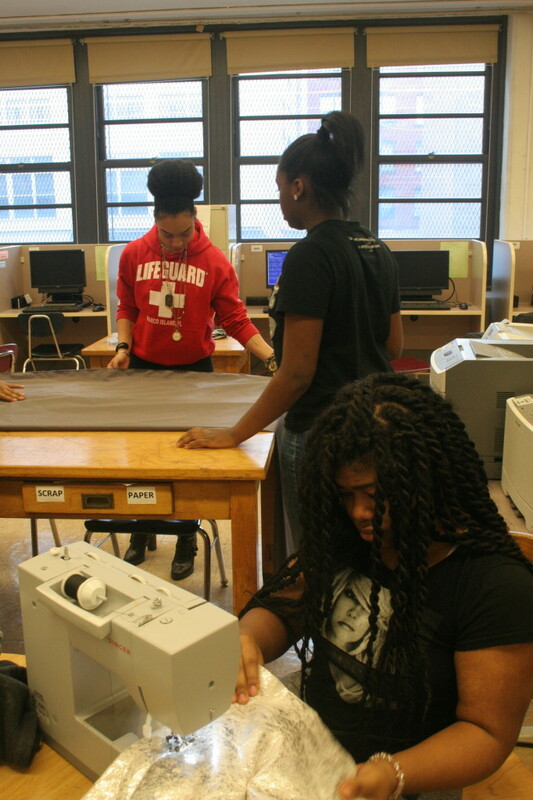 With this in mind, The Laundromat Project brought its Youth POWER Lab arts education curriculum to Brooklyn Community Arts and Media High School (BCAM) for after school workshops. 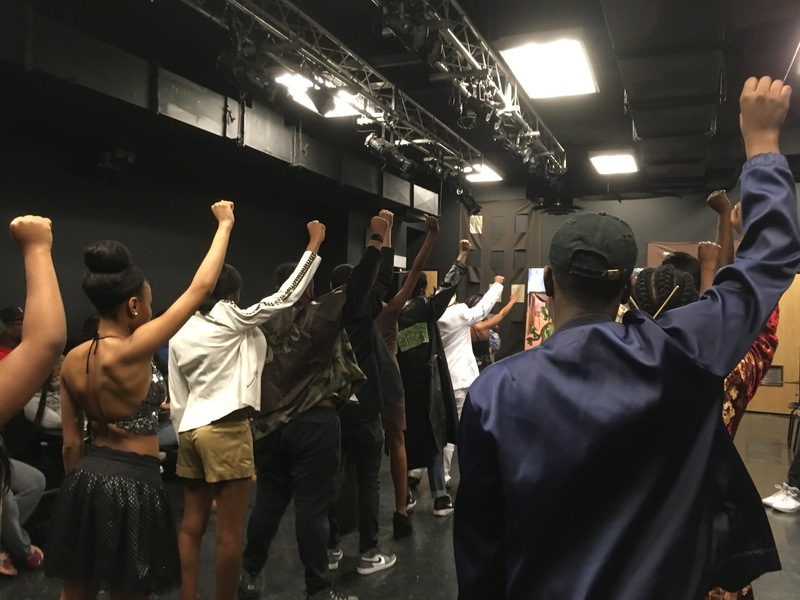 For a period of four months students used oral history and fashion design to address topics relevant to them and their neighborhood, such as gentrification and the Black Lives Matter movement. 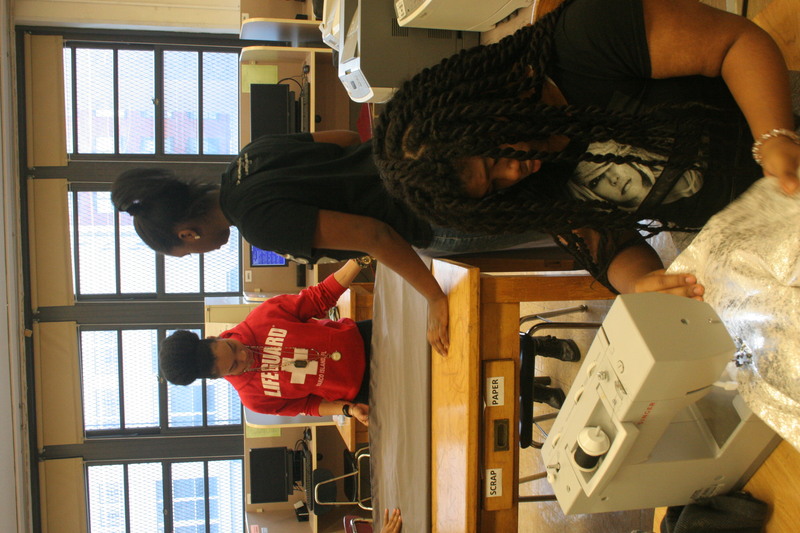 Guided by teaching artist Markita Miler and BCAM Social Worker Director Denyse Murray, students who participated in Youth POWER Lab were able to dissect these complex and multi-layered issues through their work. 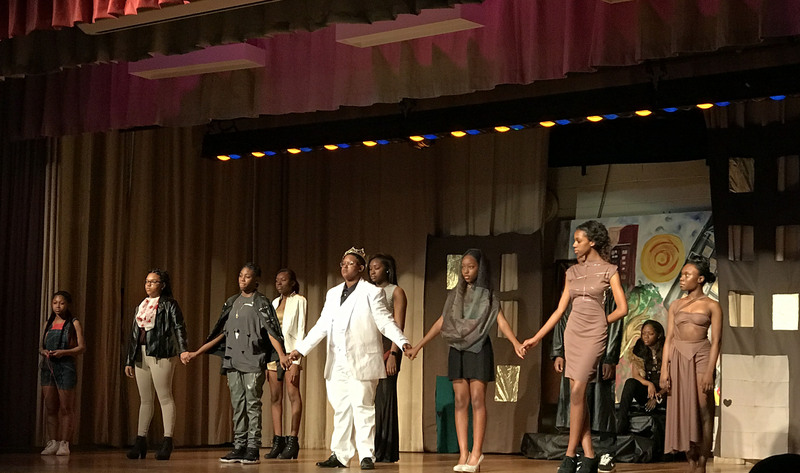 Oral histories collected, were used as inspiration for a fashion show, which was shared with their peers and community on March 9, 2017 (video below). 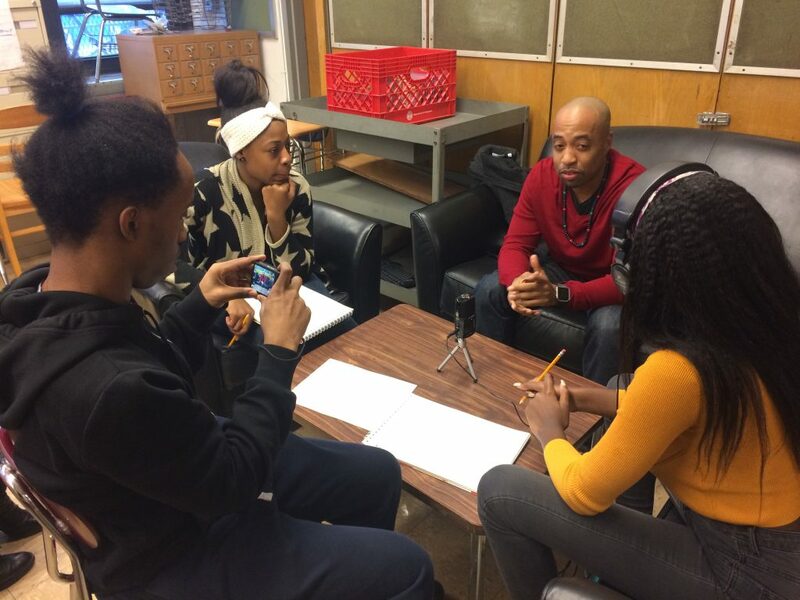 BCAM students found the process of interviewing members of their community to be an exciting opportunity to get to know more about the different people who share the neighborhood with them. 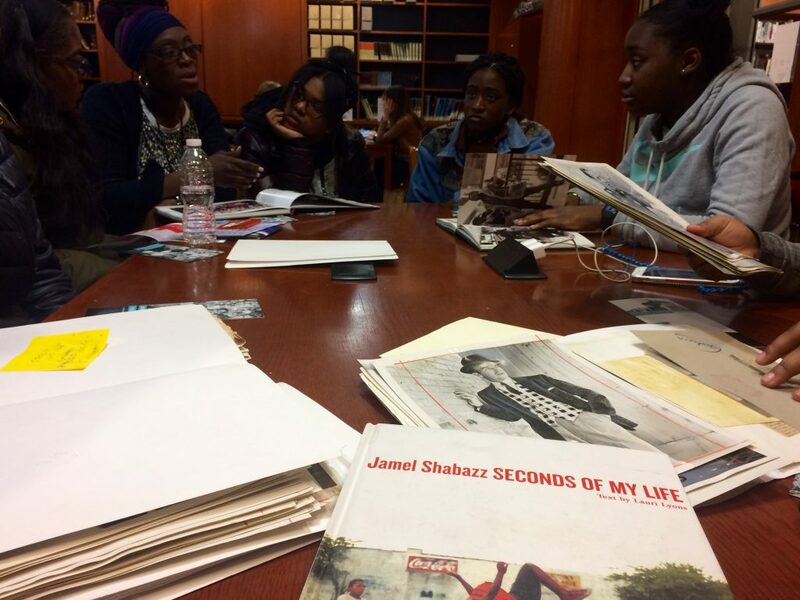 They also faced frustrating challenges in collecting oral histories, but ultimately found the experience to be to be eye-opening and rewarding, with many getting to know neighbors Bed-Stuy. Learn more about Markita “Ki” Mileri and her work with The Laundromat Project’s 2016-17 Youth P.O.W.E.R.Project.